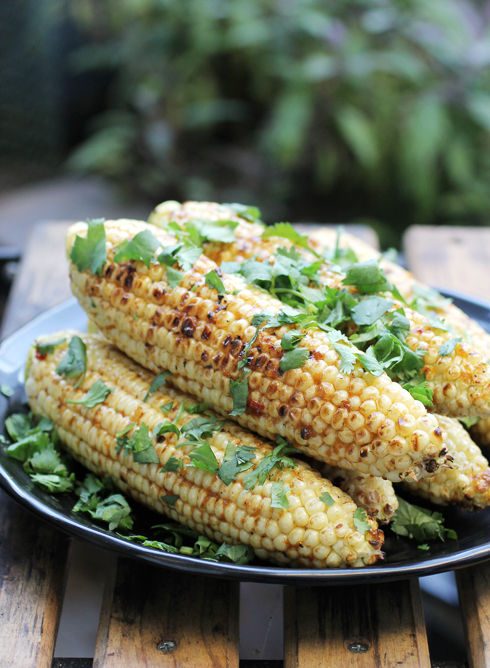 An easy, delightful way to dress up grilled corn. Want to dress up corn on the cob in a whole new way? 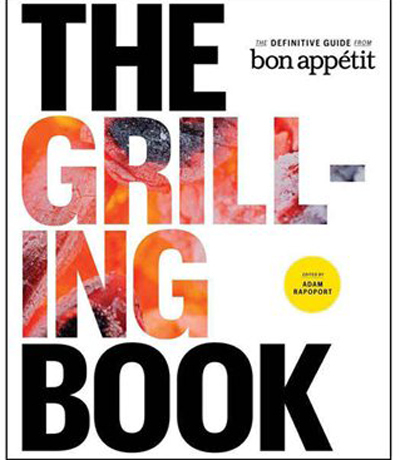 Look no further than “Corn with Hosin-Orange Butter” from the new “The Grilling Book: The Definitive Guide from Bon Appetit” (Andrews McMeel), of which I recently received a review copy. It’s easy as can be — just a matter of grilling whole, shucked ears, then smearing them with a creamy mixture of softened butter, hoisin sauce, Chinese chili-garlic sauce and grated orange zest. Grab a cob with your fingers and take a bite. You’ll be greeted with a delicious smokiness plus the sweet-savoriness of hoisin sauce that compliments the natural sugars of the corn so well. The orange zest is really what makes it, though, adding a bright, perky complexity. You know the orange butter you like to smear on cornbread? Imagine that flavor with Asian hoisin sauce thrown in. Irresistible, right? 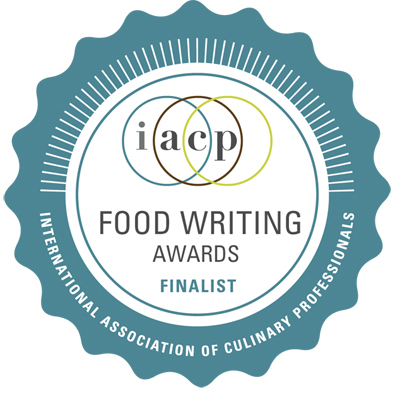 The recipe calls for white corn. But I don’t see why yellow or bi-colored corn won’t work equally well. 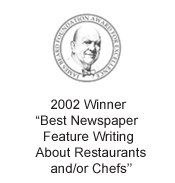 Just by chance I happened to uncork a sample bottle of 2011 Joel Gott Oregon Pinot Gris that night. 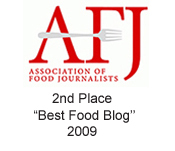 (And yes, he is one of the Gotts of Gott’s Roadside eateries.) It’s summertime in a bottle with plenty of minerality and lemon and lime notes, as well as profound orange blossom. Yes, more orange — a perfect sip alongside this orange-scented corn. If you’re still planning your Memorial Day barbecue menu, I’ve already got you covered on the wine and the side. Build a medium-hot fire in a charcoal grill, or heat a gas grill to high. Mix first four ingredients in a small bowl to blend. Season to taste with salt and pepper. Brush grill grate with oil. Grill corn, turning occasionally, until beginning to soften, 8 to 10 minutes. Brush all over with hoisin butter; continue to grill, brushing occasionally with more hoisin butter, until corn is tender and charred in spots, about 5 minutes longer. Transfer to a platter; brush with more hoisin butter. Sprinkle with cilantro. A great idea! Those flavors are simply wonderful. 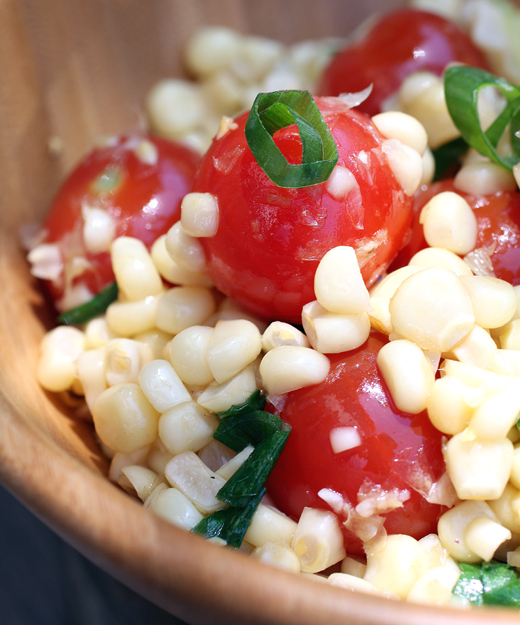 What a great twist for grilled corn! Sounds like a perfect wine pairing too. 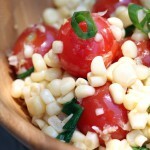 Great idea for corn, particularly early season corn that hasn’t reached peak flavor. Love the flavors – definitely something I need to try. Particularly since I’m doing a lot of grilling at the moment! Thanks for this. 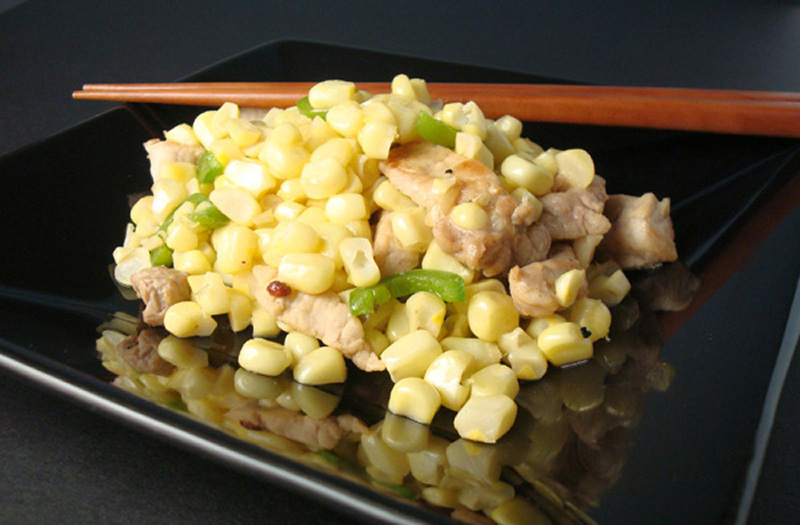 Now this had made me want to go out and buy fresh corn and try out this recipe! Looks so delicious. 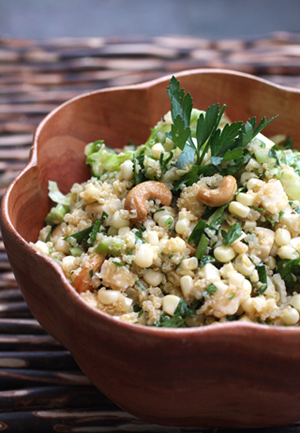 Fresh corn is coming in right now so this would be a great time to try this one out! Thanks. 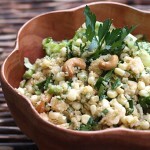 two of my very favorite c foods, nay, foods of any letter are corn and cilantro. this is great! Beautiful photo! The flavors sound wonderful. I now have a hankering for grilled corn! Mmmmmh, this is something I missed in Paris! You had me at “grill” and “corn,” but adding Asian flavors sounds like a big win. This one goes on my Try Me list for sure, Carolyn. The weather in Houston is a bit too hot for corn right now (I just want to douse myself in ice cream), but I can’t stop looking at this picture on your blog. So simple and so pretty, and delicious in many ways. 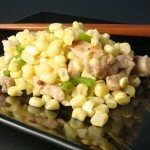 Pingback: Summer Grilling Recipes: Asian-Style Grilled Corn | What Dress Code? This flavored butter was delicious! The citrus made the corn seem even more juicy.